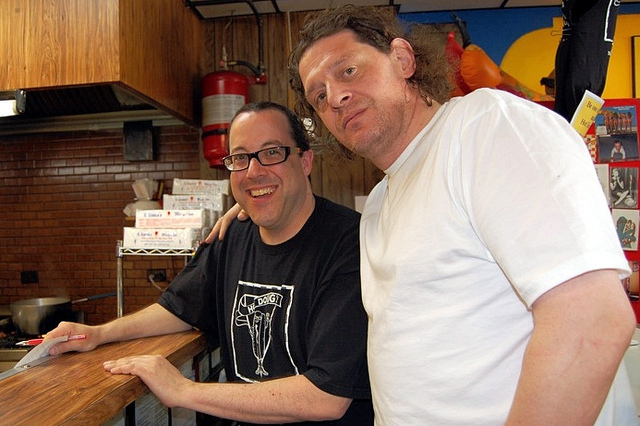 Hot Doug&apos;s announced today they&apos;re finally working on a book, due out next spring. Or rather we&apos;re working on this together. No hiding ghostwriters here. Doug&apos;s put out the call on their Facebook page seeking "stories, photos, memories, drawings, poems...anything that can go in a book." Surely they&apos;ll find a way on an e-book to feature the catchy yet yearning Themes from Hot Doug&apos;s and other audio tributes. 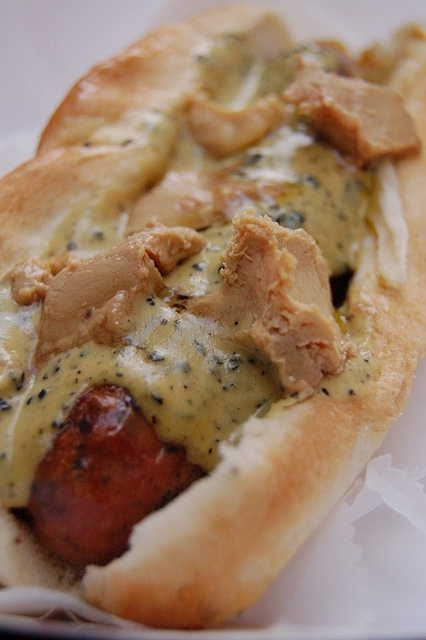 Doug&apos;s has also been popping up in food news recently because of the upcoming ban on foie gras in California. On July 1 it will become illegal to sell the fatty livers in that state, as it was in Chicago from 2006 to 2008. 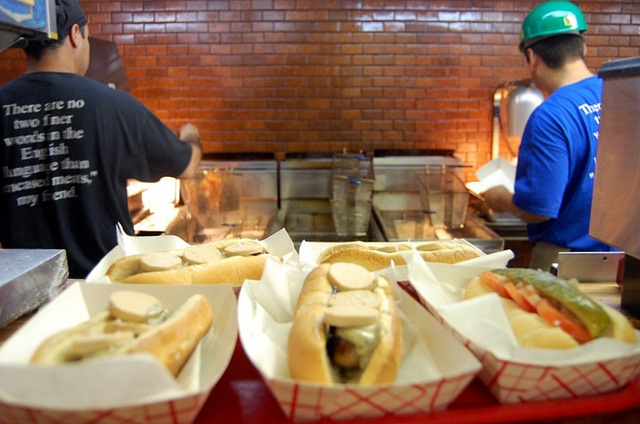 Despite a number of restaurants openly serving foie gras during the city ban, Hot Doug&apos;s was the only one fined. 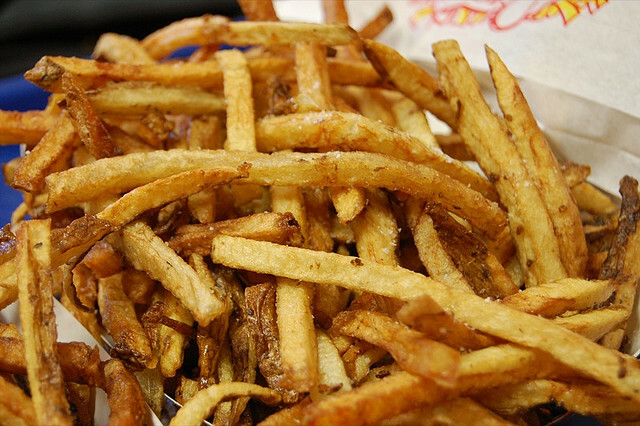 Yet the duck fat fries, fried in fat from ducks that provide the foie gras livers, were unaffected. It&apos;s a difficult question, that of foie gras, duck fat, and meat in general, for that matter. The one thing I hope the most that comes from this book is recognition for Doug Sohn as a great chef, restaurateur, and businessman—a rare triple threat, especially these days. Hot Doug&apos;s may never make it to the so-called World&apos;s 50 Best list, but look for it someday as a James Beard Classic—we hope.